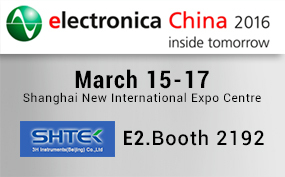 It will take place in conjunction with Productronica China at the Shanghai New International Expo Centre. It covers the electronics industry's entire value chain. 3H Instruments is ABI Electronics distributor in China and they'll be exhibiting the full range of ABI products at Electronica China in March. In case you are visiting the exhibition and you are willing to arrange a meeting with our distributor, please contact ABI for more information.